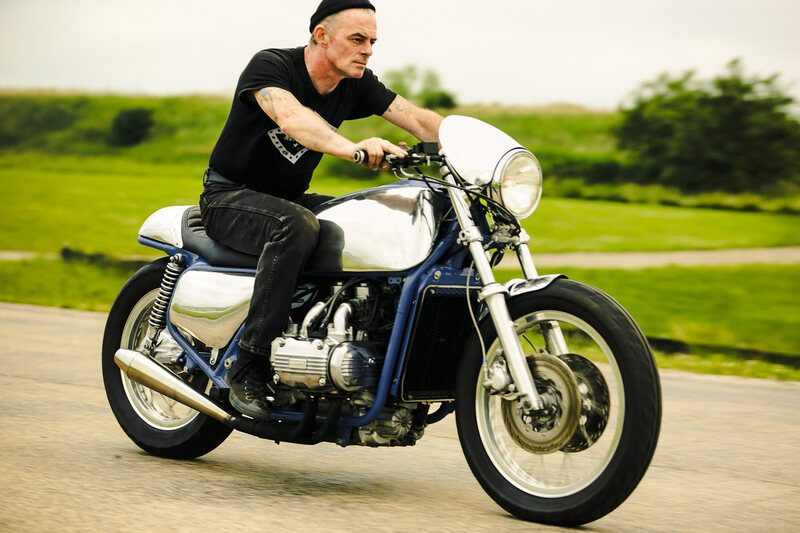 Craig Rodsmith is one of my favourite characters in the bike building world. 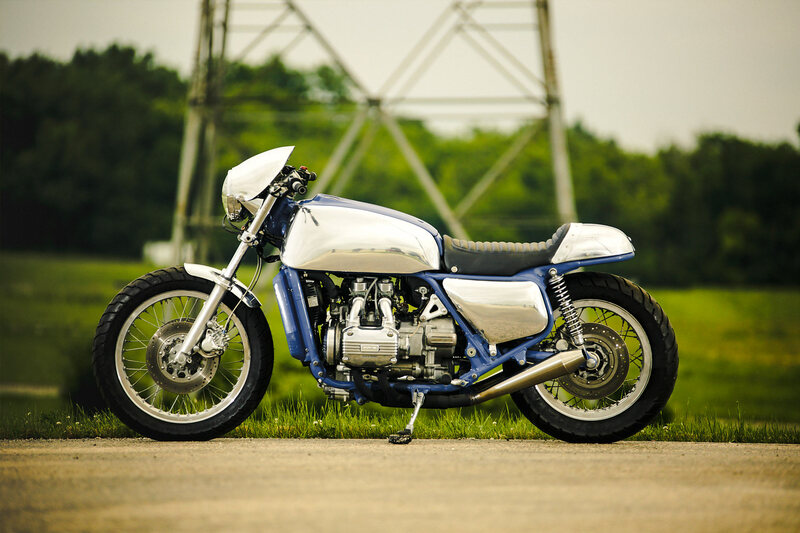 An Australian working in the US, his motorcycles are bombastic creations that feature incredible aluminium work. 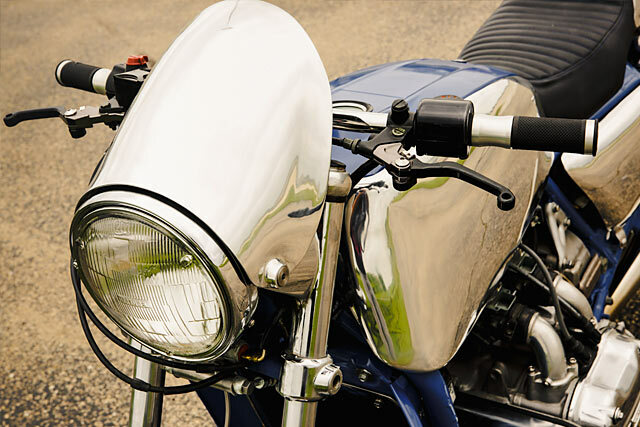 Miles of polished metal and astonishing levels of fit and finish are his calling card. But sometimes he likes to play it a little more simple. 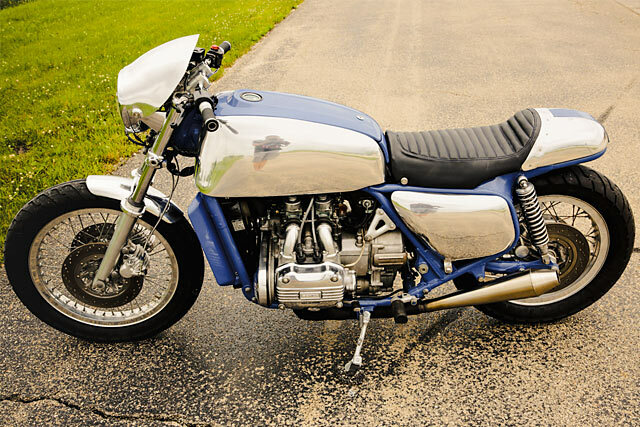 And he can do the understated stuff incredibly well too, as this 1976 Honda Goldwing café racer shows. ‘This build actually started two years ago when a rather large bloke, (6’6” and about 320lbs) walked into my shop by chance,’ Craig recalls. ‘He started checking out some of the café racers I’d built and said that he’d always wanted one but was just too big for the typical café builds out there.’ Ah, the curse of the tall man. They might reign supreme when the world falls apart and we start swinging swords at each other, but in the meantime finding a motorcycle is damn hard. But Craig had a solution. With the bike in the shop Craig started realising, not for the first time, the reliability of these old beasts. 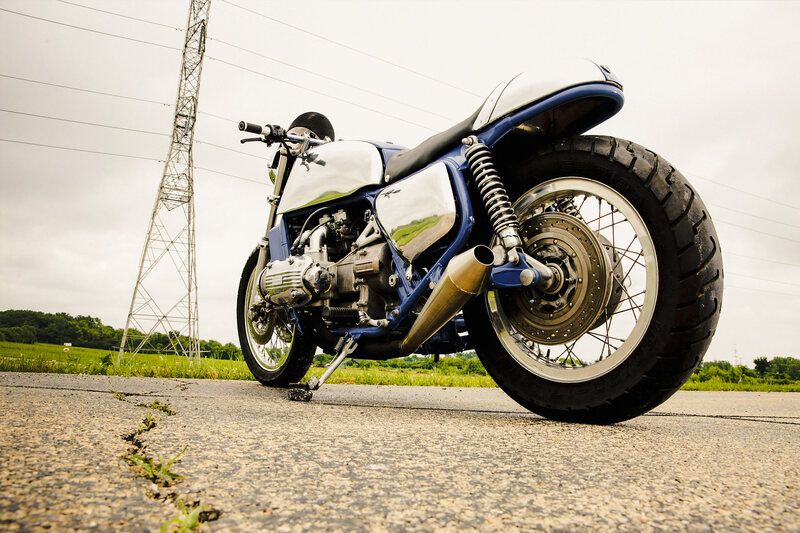 ‘After a quick carb clean, a new battery and some fresh gas we got the Honda to fire up,’ he recalls. 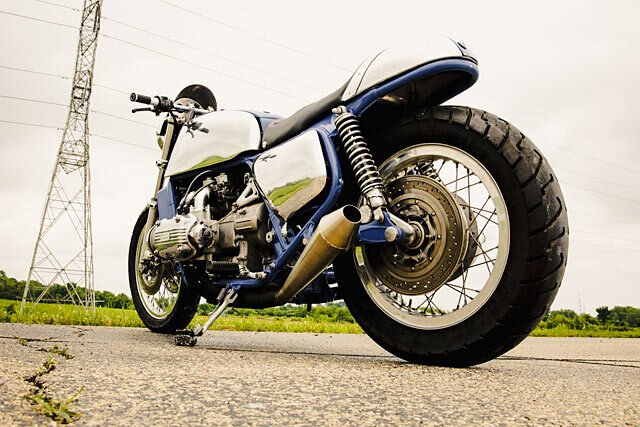 And when it was running the engine felt strong and a prime candidate for the build – a café racer for the larger gentleman. But then life threw a spanner in the works. Craig Rodsmith’s bikes became even more popular. Helped along by his hilarious videos on Facebook, he started to garner interest from all quarters. 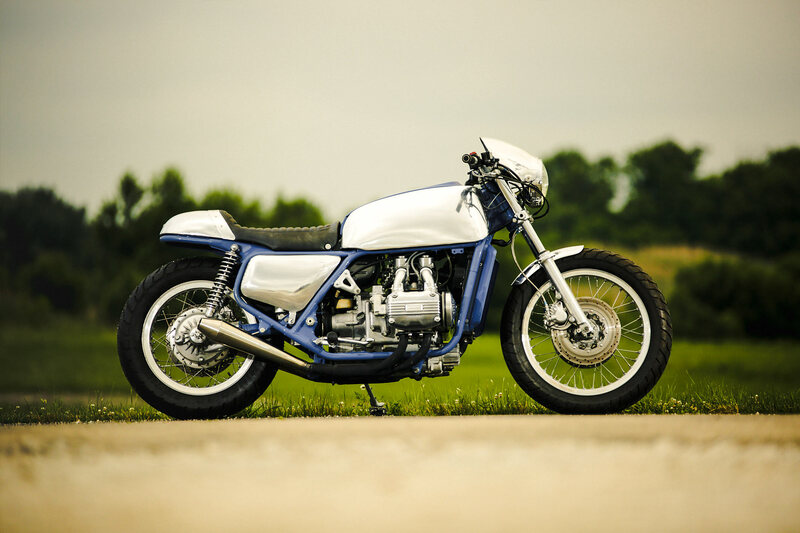 Not only was he trying to finish his incredible Moto Guzzi dustbin build for he Handbuilt show, the Haas Museum commissioned another Moto Guzzi, a V9. 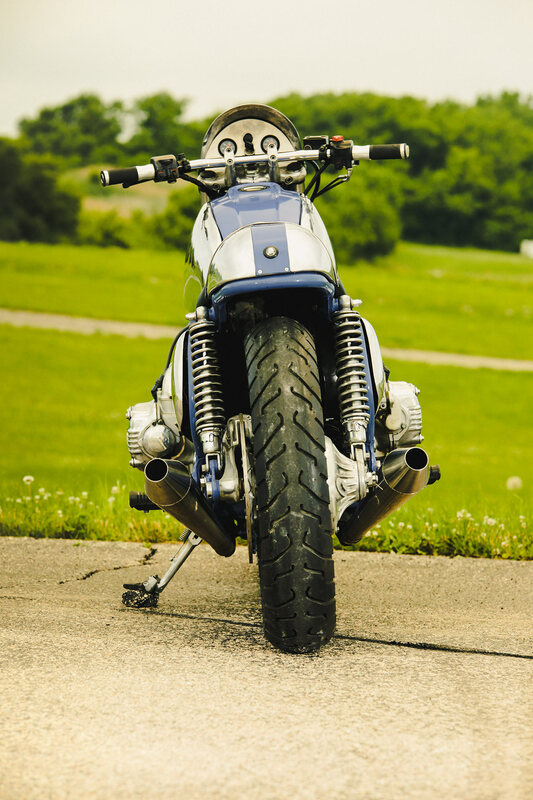 ‘The Goldwing was supposed to be a relatively quick build and basically just a nice rider, but big John was so patient I ended up going a bit further,’ Craig says. Firstly, the bike was stripped down and the frame detabbed. It was powder coated Big John’s choice of blue and then everything started getting put back into place. The engine got a thorough going over. 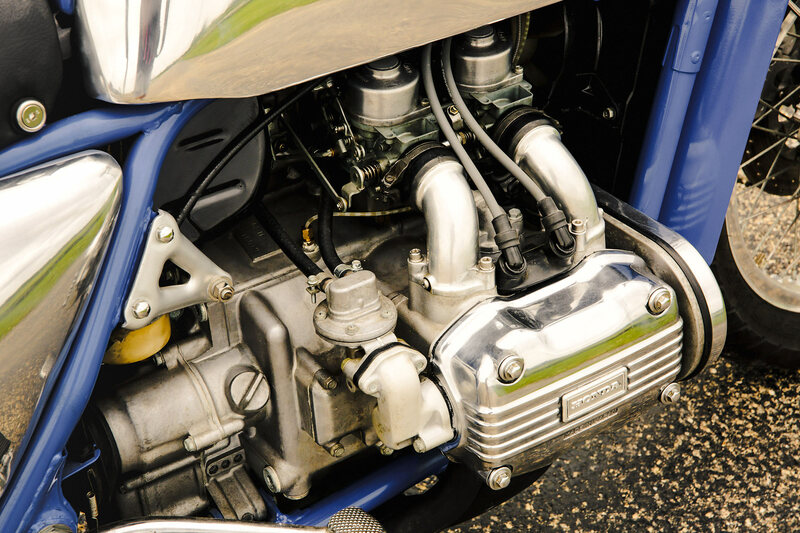 The carburettors were thoroughly dismantled and cleaned and the ignition was upgraded as well as the addition of some Dynatech coils. 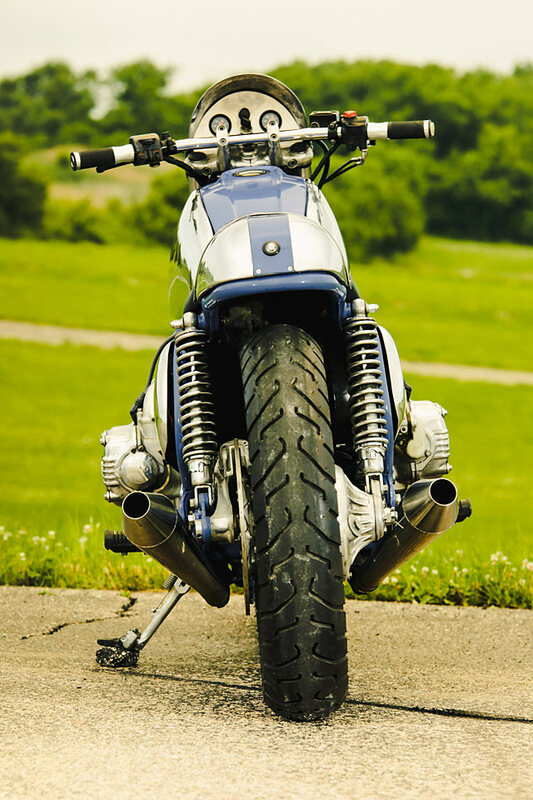 The exhaust was modified too, with a pair of Cone Engineering stainless mufflers fitted to get the old Goldwing growling. It’s pretty standard fare, but Craig couldn’t help himself – out came the English wheel. 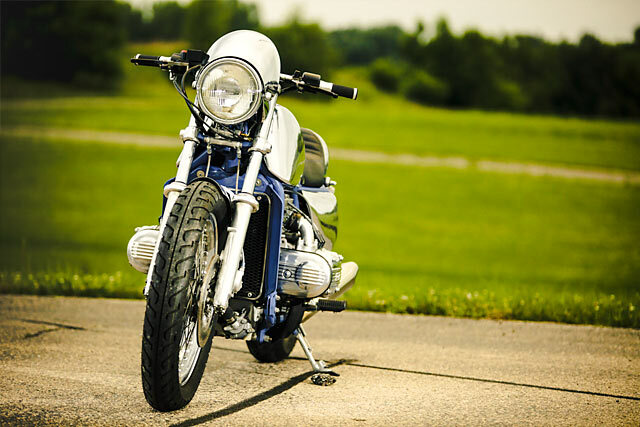 He made a café seat, a smaller front fender and a headlight fairing. ‘It was all formed in aluminium and polished. Just for something different,’ he jokes. 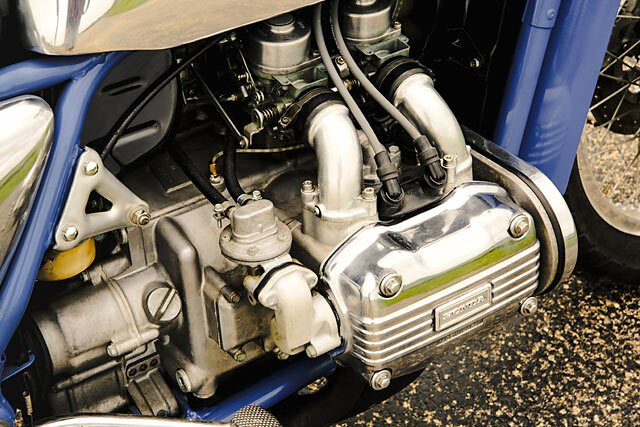 He also did some more polishing, shining up the engine valve and belt covers and rear drive. The polishing didn’t stop there. He dismantled the rims, de-anodized them and also gave them a going over on the buffing wheel. But the best work he’s done on the Goldwing is with the tank. For those of you who haven’t had a chance to give an old ‘Wing a going over, the ‘tank’ is actually a clever little unit. 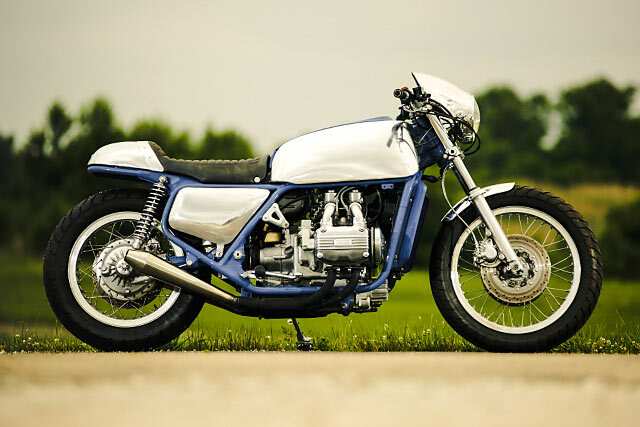 It’s made up a series of panels that pull apart, giving access to various electrical components, radiator expansion tank and back up kickstart lever (!). Craig made some new tank side covers from scratch, and also some matching lower side covers. Neat, huh? 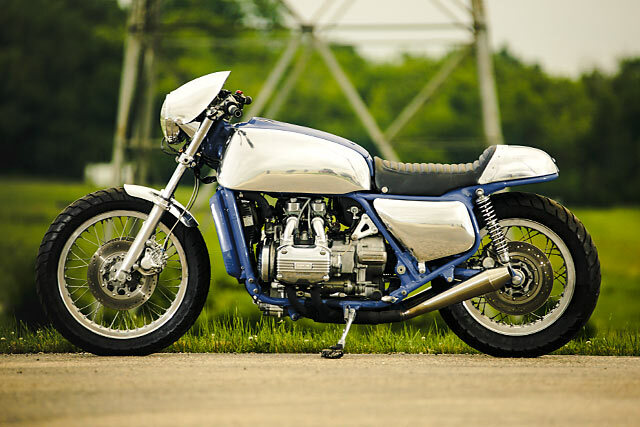 All that work left Craig with a Honda Goldwing that’s far more ‘café’ than you’d ever think possible. 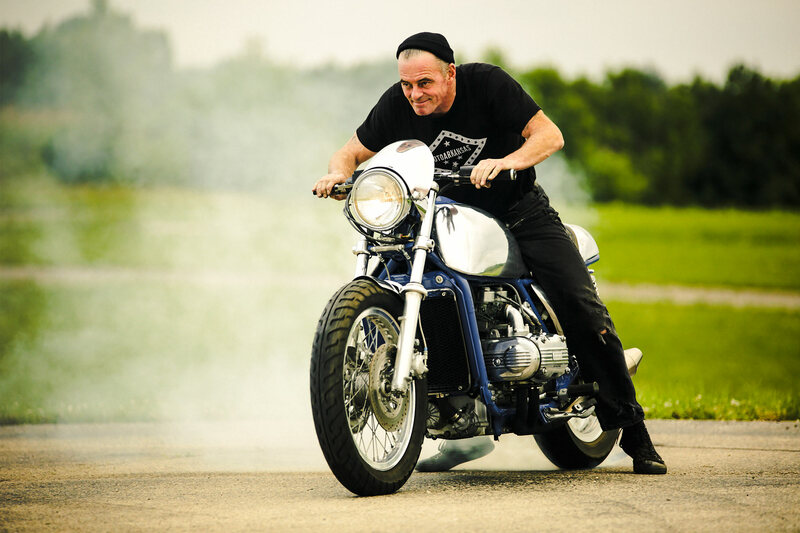 ‘It’s a blast to ride,’ he says, ‘especially since I probably shed around 150lbs off the original weight, and even with my comparatively light weight of 165lbs I was surprised at how easy it was to get the front wheel up!’ It’s a gorgeous example of the work that Rodsmith can do, and in typical form he’s not one to brag. ‘I think it turned out kinda pretty for an old Goldwing!’ Understatement of the year right there.